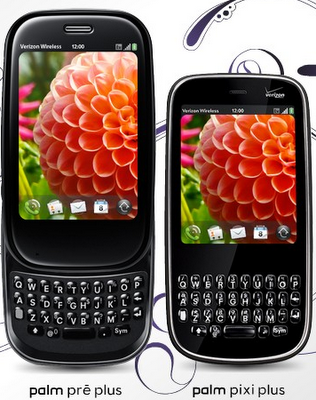 I have a Palm Pre+ smartphone running webOS on Verizon. I love it. I've been a Palm user since my Palm IIIxe I got in 2000. Then I got the T3, Lifedrive, TX, and then Centro. I got my Pre+ last February when it came out on Verizon. I've always used these devices to keep my self organized and connected. I thought I'd share how I use it in my daily life as a teacher. While Palm and webOS don't have tens of thousands of apps like Apple and Android, they have a lot of great apps and they are very useful. Since HP purchased Palm, there are new hardware devices coming and many more apps on the way. I am able to do everything I need to do with my Pre+. The Pre+ has 16GB of onboard storage, a 3.1 inch multi-touch screen, WiFi, Bluetooth and a slide out physical keyboard. (The Pixi is Palm's other phone and it has a slightly smaller screen and a permanent keyboard (like Blackberry)). Calendar (built in): my calendar on my Pre+ syncs with my Google Calendar account. This way, anything I put into either my phone or on my computer is synced (effortlessly over the air). I can even add other calendars, including my wife's Google Calendar and my Outlook calendar from school. Web Browser (built in): I use my web browser to check the news, surf the web, look up sites I want to use for school, access my bank account, and even access our school student info system, PowerTeacher. The web browser displays web pages just as if you were on a computer and then you can easily zoom in using the multi-touch screen features. Email (built in): the email app on the Pre+ is very good. I have my home email from Optimum Online, my Gmail account, and my school Outlook account all synced to my phone. I can see all of them as one inbox, or separate. I can keep in touch with friends, family, and students anywhere. I answered a student's homework question while at the store the other evening. ZumoDrive: Zumodrive is a file sync/storage/backup service that works great for smartphones. Your computer thinks that they Zumodrive system is another hard drive on your computer. With the smartphone, you can access all of your files and even stream music or video files from your computer onto your phone. Twee: Twee is an excellent Twitter client. I can see my feeds, retweet with the official retweet or add my own comments, send and receive direct messages, search, and much more. I use Twitter as a part of my Personal Learning Network and especially for #edchat. Facebook: Palm developed this app for Facebook and it is very good. I can see News, Status Updates, pictures, search and more. It's a great way to stay in touch with people while on the go. Evernote: I use Evernote for my lesson plans, class notes, meeting notes, to clip things from the internet, and much more. The app lets me access and edit my notes (or create new ones) from anywhere. If you've never used Evernote, you really need to try it out. Evernote homepage. Physics Reference: I teach physics, so having a comprehensive physics reference with me is very useful. It is easy to use and has all the information I need to refresh my memory, or look up information. Weather Channel: Do I need a jacket or umbrella today? There are many web sites that I use as apps. I've save a bookmark of the site to my phone as an icon on the app screen. That makes it easier to access. Yankees homepage - have to keep up with my team. Google Reader - Google's mobile site for it's Reader app is very easy to use and well designed. I can check all of my feeds from here, read the entire article, star it to save it for later, and much more. Dropbox and Sugarsync: I access the mobile sites for these two file share/sync/backup services and can access my files on my phone using DocsToGo. I've reviewed PowerPoint files and Word documents while in a waiting room, in a meeting, or sitting on the couch at home. Google Mobile Apps - I can access pretty much all of Google's apps from my smartphone, including Docs, Maps, News, IGoogle, Calendar, Notebook, Blogger, and Tasks. I use all of these extensively and having access to them on my phone makes my life easier, organized and efficient. m.google.com on your phone. And of course there are a ton of games and other apps to keep you busy or having fun. Smartphones are great educational tools and with more and more students getting them, we should be using them in the classroom. If I'm using it, why can't they? PreCentral - great info, reviews, app listings and reviews, tips, and more. What smartphone do you have and what are your favorite apps.